Located at 1-9 Freshwater Point Road, Regis Legana nursing home is a bright and light filled facility situated away from the hustle and bustle of the city. 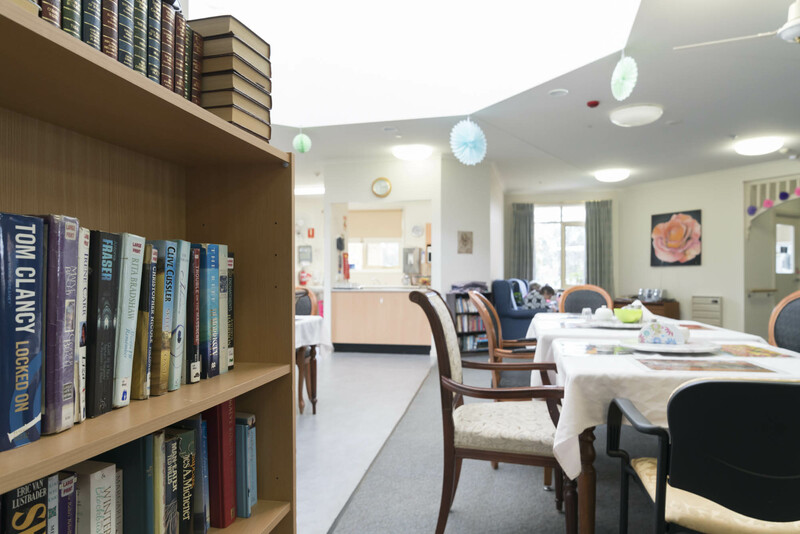 We strive to provide optimal security and support to all of our residents at Legana aged care, whilst keeping the independence they had when living at home. We currently provide the full range of aged care services alongside ageing-in-place, dementia care and respite care services. Personalised aged care lifestyle programs – specific to each residents’ needs, and level of care required. Special events – to encourage residents to build new friendships and discover new hobbies. Dining – food brings everyone together. Our rooms are set up for social interaction and also a place for families and friends to join loved ones for a meal. Contact us today on 1300 998 100 to find out more about our Legana aged care. You can also check for eligibility for government funding, or search for your nearest Regis location in Tasmania to start independent living with Regis.